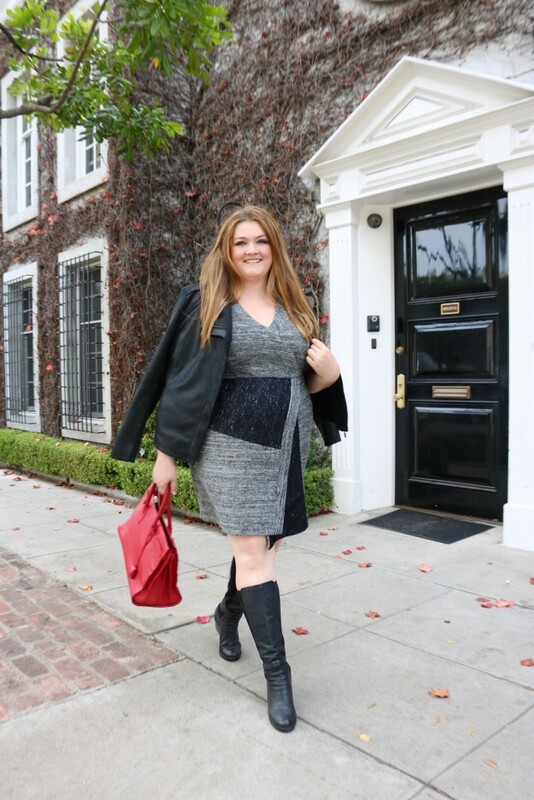 When I saw this Rachel Rachel Roy Curvy Dress with its various textures, I knew it would be so easy to style with boots, a leather jacket and my red handbag for a pop of color. 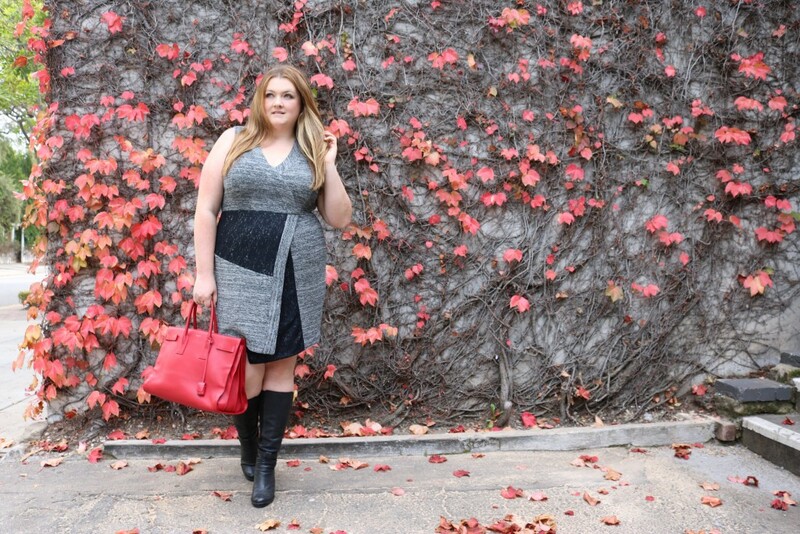 Plus I am a huge fan of the RRR Curvy Collection – so this dress was win win in my book! 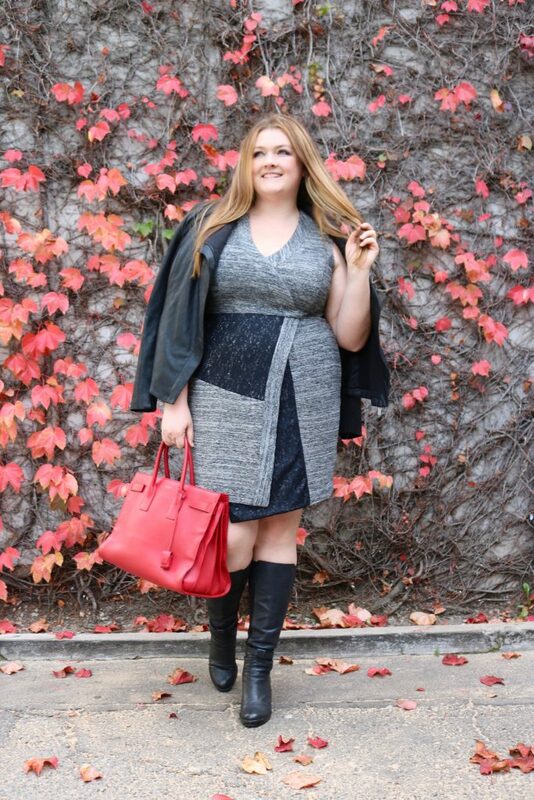 *This post was sponsored by GwynnieBee. As always all opinions are my own. Some of the links above may contain affiliate commissions. That bag and dress are to die for!